A blessed Advent and grace-filled Christmas to you and all the world! We are about to launch our new website … which is why we’ve neglected this one so much this past year. Look us up again in a couple of weeks and you can see the new site! Same address as the old one, but completely re-designed. We are grateful to Kevin and his team at Anchor Wave for all their work on it. We Sisters still have more to do regarding the content of the site, so we’ll continue to work on it in 2019. Please let us know what you think of the new site by sending us a message through our Contact Us page. We are grateful to our new friend, Fr. Albert, from Sts. Peter & Paul Parish in Tucson, who kindly celebrated the Eucharist for us on the Feast of the Assumption. The celebrating continued in the refectory where we all enjoyed a special feast day dinner, our Sister Esther’s specialty: fried shrimp and stir fry, followed by waffles and ice cream for dessert. Yum! 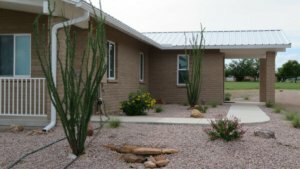 The landscaping at the new Family Guest House is now complete. The retreat house pathway extensions by the crew from Cimarron Circle came out beautifully. The annual summer rains came just in time to sprout and grow the native grass seeds planted by Jim Koweek, and the plantings by Ken Karrol are doing well too. It truly is a wonderful home for welcoming our Sisters’ families and other special guests. Thank you from the bottom of our hearts to all who made the building of this house possible! 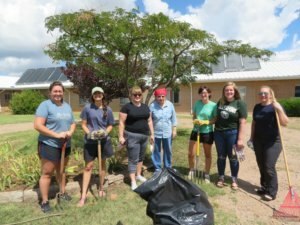 Sr. Magdalena from the Abbey of Maria Freiden, one of our monasteries in Germany, made a tour of several American houses of our Order this summer. She is an expert on Cistercian History and gave classes wherever she went. We enjoyed five days with her and wished it could have been more. 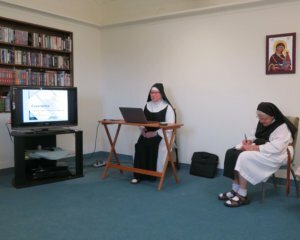 She spoke about the experience of monastic life in the 20th century, and also gave talks on Abbot Armand de Rance and the Trappist reform of the 16th century, and Abbot Augustine de Lastrange who shepherded over 200 Trappist monks, nuns, and students, refugees from the French Revolution. 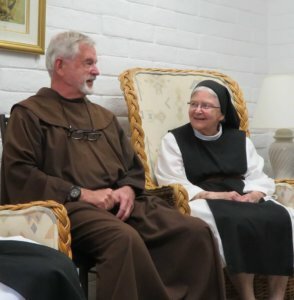 Their journey has been called the Monastic Odyssey, a three-year journey from Switzerland to Russia and back again, seeking a place where they could live their vocation in peace. Our monastery of Santa Rita is directly descended from that group of wanderers. In 1801, Dom de Lastrange sent a small group of nuns to England where they founded our great-grandmother house, Holy Cross Abbey, at Stapehill. We had a great weekend with six beautiful, faith-filled young women from Arizona and Colorado. They prayed all seven hours of the Divine Office with us, including (for some of them) Vigils at 3:10 a.m.! Our Sr. Rita and Sr. Pam shared with them about monastic history and prayer, and the ancient art of lectio divina. On Saturday morning the MEW attendees weeded the circle garden in our backyard (which has never looked so good!) and ate the Midday meal with the community. In the afternoon they were given a tour of our altar bread bakery. On Sunday our sisters shared their vocation stories, asked and answered questions, and showed a film about our mother house, “Hidden: a Life Lived All for God.” It is wonderful to see the grace of God at work in the lives of these lovely women. May God continue to bless and guide each of them throughout their lives! We hope to see them again sometime. Our Franciscan friend of many years, Fr. Eddie Fronske, was pastor to the Whiteriver Apache for 35 years. Recently retired, he has been reassigned to San Xavier Mission in Tucson, which is much closer to us than Whiteriver. Mother Vicki invited him out to say Mass for us one Sunday in September, and he’s been coming every Sunday since then. Thank you, Fr. Eddie, and thank you to his community of Franciscan friars at San Xavier for sharing him with us! We hope to have a monk of our Order for the end of Advent and the Christmas season. For our Christmas Mass schedule, see our newly updated Prayer Times page. Our latest volunteer helper was here from mid-October to mid-November. 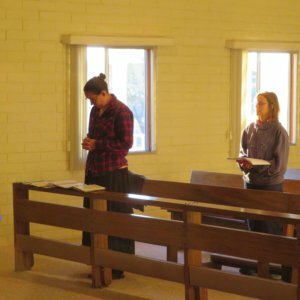 Like all our resident volunteers, Brianna lived at the retreat house, prayed with us in our chapel, and helped with our daily work. 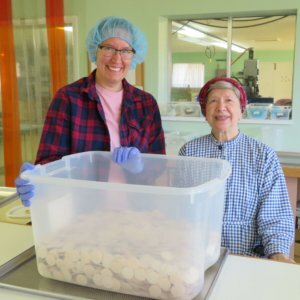 She was a big help cleaning the retreat house, assisting at Cistercian Altar Breads, and elsewhere around the monastery. She did a phenomenal job cleaning the monastery kitchen–the exhaust hood over the stove and the stove itself haven’t looked this clean since the day we bought them. Thank you, Brianna, for your cheerful, willing presence in our midst. We wish you well as you continue your search for God’s will for your life! Our dear friend and father immediate, Fr. Joseph Boyle, passed away October 21st. Fr. Joe had been abbot of St. Benedict’s Monastery in Snowmass, CO, since 1984. He was a gentle, wise and kind monk and friend to all who knew him. His passing is a great loss for his community, for us, and for many others. Please keep the Snowmass community in your prayers as they grieve, and as they look to the future and prepare to elect a new abbot. 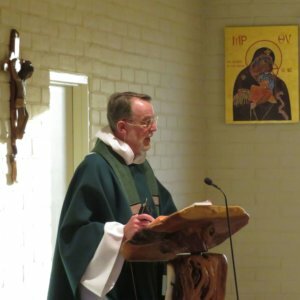 In the photo he is preaching a homily in our chapel during his last visit here in November 2017. In the same week, on October 25th, another monk of Snowmass passed away, Fr. Thomas Keating. Fr. Thomas is famous for his work in the centering prayer (contemplative prayer) movement. A wise and deeply prayerful monk, he also will be missed by many. 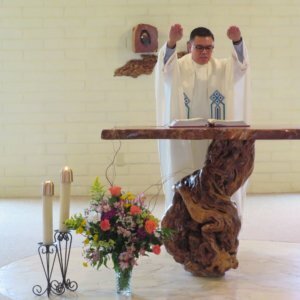 Another beloved friend of our community, Fr. Matthew Flynn, monk of St. Joseph’s Abbey, Spencer, MA, passed away December 4th. Fr. Matthew served as our annual Holy Week and Easter chaplain from 2006 to 2015. He fell in love with our high desert landscape and especially loved to watch the sunrise each morning. He also loved watching our native wildlife and made friends with a pair of ravens he dubbed Mo and Po. We learned to expect a daily nature report each morning at the beginning of Mass, usually about the sunrise, but occasionally about the ravens! Fr. Matt had a wonderful spirit of optimism and cheerfulness about him that made him a joy to be around. At the same time, there was depth of spirit in him also, full of a humble, practical wisdom. 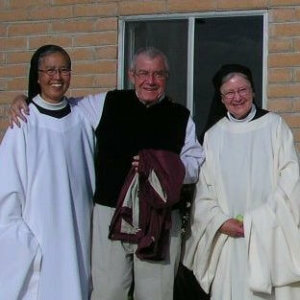 The photo is from Easter 2006: Sr. Esther, Fr. Matthew, and Sr. Margarita. May all three of these faithful monks rejoice forever in the Lord! Fr. Eddie was able to be with us for the whole of Thanksgiving weekend. On Thanksgiving Day he celebrated Mass for us, and we all enjoyed a festive dinner together later in the day. The season of Advent began on the evening of December 1st with the lighting of the first candle in the Advent wreath by our Mother Vicki just before Vespers. How beautiful the Advent liturgy is–the readings from the prophecy of Isaiah, the antiphons sung with the psalmody. This week (Dec 17-23) we sing the ancient “O” antiphons at Vespers every evening. These are prayers of heart-felt longing for the One Who is to come. May the Lord Jesus come anew to the hearts of all this Christmas and teach us more deeply his ways of faithfulness, generosity, mercy, justice and peace. Come, Lord Jesus, come!